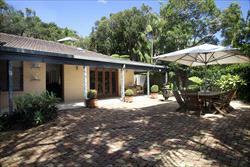 Please note this property does not take schoolies bookings. 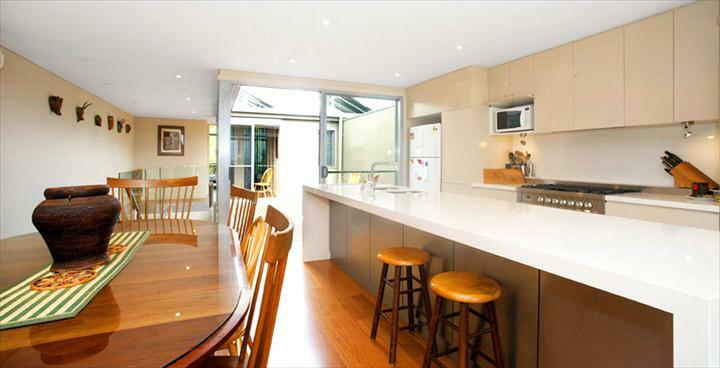 Enjoy the Byron Bay lifestyle in this contemporary beach house! Offering a spacious retreat for larger groups, the Ibis Beach House features 3 bedrooms, 2 bathrooms, a fully equipped kitchen, huge private courtyard and more! Unwind with views over the Arakwal National Park in these 2 bedroom, 2 bathroom apartments. Fully self-contained with all the comforts of home including a fully equipped kitchen, spacious open plan lounge and dining, large balcony and complimentary Wi-Fi. Unwind with views over the Arakwal National Park in these 2 bedroom, 2 bathroom apartments. Fully self-contained with all the comforts of home including a fully equipped kitchen, spacious open plan lounge and dining, large balcony and complimentary Wi-Fi. Cot charge $20 per night. Enjoy unique and stylish holiday accommodation with treetop views over the tranquil bushland setting. Take in your surrounds from the spacious balcony with private spa and ocean views, or relax in the loft style lounge area with sofa bed. The Treetop Houses are fully self-contained with all the necessities needed for your home away from home. 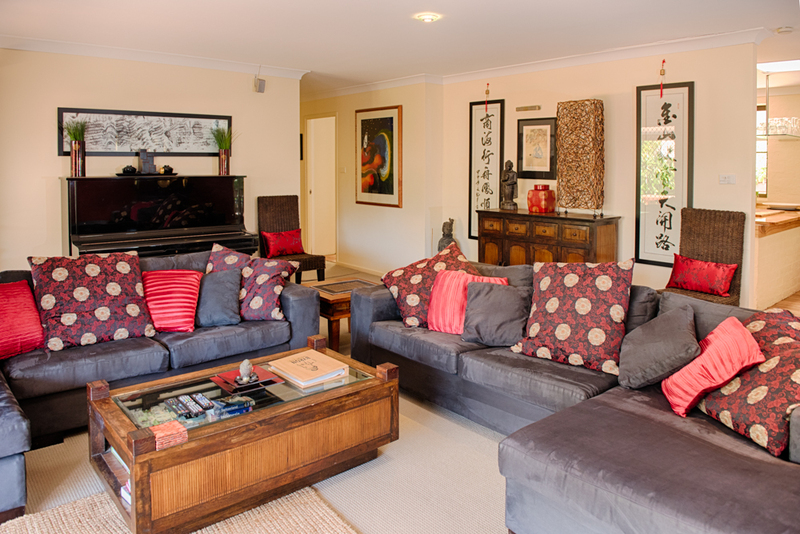 Enjoy unique and stylish holiday accommodation with treetop views over the tranquil bushland setting. 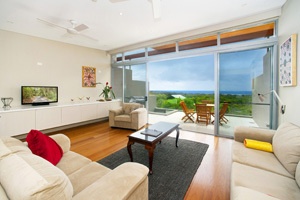 Take in your surrounds from the spacious balcony with ocean views, or relax in the loft style lounge area with sofa bed. The Treetop Houses are fully self-contained with all the necessities needed for your home away from home. Perfect for the larger family or group wanting to enjoy a luxurious escape. Spread out in these 3 bedroom beach houses with modern facilities including 2.5 bathrooms with a spa in the ensuite, gourmet kitchen, fire place, and spacious balcony including a private BBQ and stunning ocean views. FIT: Cancellations 30 days prior to arrival will incur a $100.00 penalty per apartment/Treehouse or Beach House. Within 30 days 40% of the total booking amount will be forfeited. GROUPS: FIT: Cancellations 30 days prior to arrival will incur a $100.00 penalty per Apartment/Treehouse or Beach House. Within 30 days 40% of the total booking amount will be forfeited.